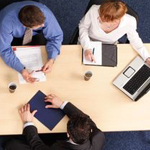 Whether you are moving offices, relocating or upgrading your present office arrangement, you should make BOS your first point of contact. From small single offices through to large Corporate Organisations we supply and deliver – from the conceptualisation to completion. A unique interiors solution. To our standard furniture range we have added standing desks and mobile shelving . Standing desks are the ideal solution for those people not wanting to sit down for 8 hours a day – there is a lot of evidence that they can be extremely beneficial – in increasing alertness, concentration and productivity and give relief from muscle ache caused by static posture. Our mobile shelving solutions are fitted with wheeled traction systems. They are ideal for smaller floor space areas as the units can be closely packed when access is not required but when fully open they provide an abundance of shelving facility. Using a sophisticated CAD (Computer Aided Design) Programme, we can design your office furniture layout to exactly the right specification – and it won’t cost you a penny. 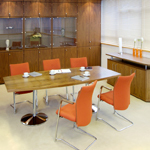 We provide a free onsite visit to give you the best possible solution for your workspace. Our experts are on hand to measure, provide alternatives and advise on makes, size and colour schemes. 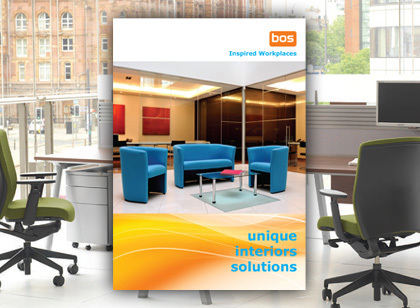 Don’t be daunted by the size of the project at BOS we offer the full package. 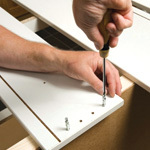 We even help with your plumbing, plastering and decorating. You can really go to town without spending a fortune, personalising your work area was never easier – we have bespoke designed doors, canvases, tiles, glass and wallpaper! Click Here for more information. Disposing of your old furniture has never been easier or Greener. 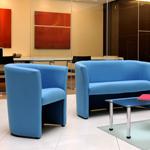 BOS offer a full office premises clearance service for all kinds of office furniture and appliances. 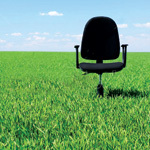 If your office furniture has no further user value to you, or your offices need clearing and made ready for the landlord, then please contact us for office clearance rates. which can be paid off with regular fixed-term payments. LEASING is the way for tax-efficient spread-out operational expenditure and fixed-term payments that could allow you to have access to the higher end range of furniture. Talk to us now to see how we can help!